If you have an image editing software like Photoshop (costs money) or GIMP (Free $0) on your computer, that's great. If not, I will help you find some online software so you don't have to download anything. 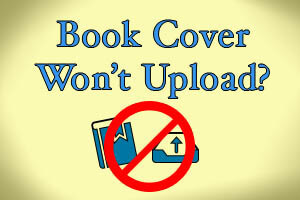 The reason is because we don't want to over write your only book cover image file! Notice that the isbn and the book title are both included in the file name. This can help to keep things organized. The maximum size for book covers submitted to isbnagency .com is currently 250 KB. Put another way, the file size must be less than 1 MB. So if your file size is 5 MB or 25 MB, etc. then it needs to be reduced down a lot. Under 1 MB is a good target size for uploading to the web, because it is big enough for everyone to read comfortably on the web. And it won't take long for your image to load. To reduce the file size, you must open your duplicate file in an image editor like Photoshop or GIMP (Photoshop costs money, GIMP is free). If you don't have access to Photoshop or GIMP, then you can do a Google search for "image resizer software online"
I found several websites that seem to work just fine. In your image editor, set the dpi to 72. Then resize your image so the longest side is 500. Now save the image as a jpeg and you're all set! To reduce the file size even further, do a Google search for "tiny jpg". The website I like the best has a picture of a panda but you can use other similar websites for the same result. Use this website to reduce your jpg file size even further! Not everybody knows this trick, but using a smaller image file will help your page load quicker -- and Google likes that -- so you will get a better chance of appearing at the top of Google search results.